These pictures were taken when I was younger. 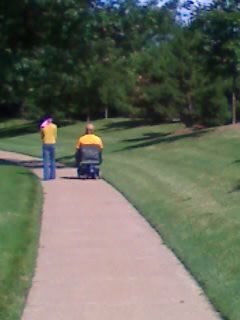 My mom, dad, and I were going on a walk. Those are fun memories I will always have. 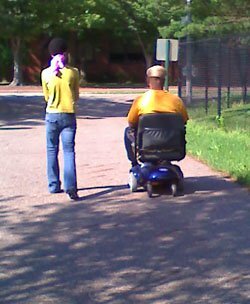 My dad has MS, but because of his scooter, we could still spend time outside together. I think he's really cool! Thanks for taking the picture mom!